Swingline high-quality staple offers consistent, dependable, easy stapling. Up to 15% fewer misforms than other standard staples. Sharp chisel point provides keen penetration with less jamming. 210 staples per strip. 1/4" leg length. 5,000 staples per box. Roseann Review by Roseann R.
Execellent product, great price, quick delivery. Do you carry staple refills for Swingline Stapler 94-02? If not is there anywhere I can find them or something compatible? 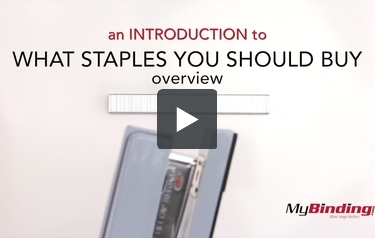 The staples you have asked this question on are exactly the right fit! The stapler you have is discontinued but will take regular standard staples. If you need help with ordering, feel free to call us at 800-944-4573. What staples should be used on the Swingline #101 TACKER. The stapler says use staples: 101-4 or 105-5. What leg length(s) work in the Swingline 101 stapler? It's designed for 1/4" and 5/16" leg staples. What is the exact specification of your S7035314 staple? It appears the 101 was designed for 1/2" crown staples with 1/4" or 5/16" legs. I have a swig line power gun 1000 and need staples. On the side of the stapler it suggest to use staples 1000-4 1/4. We unfortunately no longer make staple guns or staples for those items. It will be best to check other online marketplaces for the product you are looking for. Which staple has a heavier gauge for my Swingline 101 Tacker, 101-4 or 101-5? I need staples for a Swingline Light Duty Staplegun #101. Unfortunately, we no longer make staples for staple guns. The best place to look for this product would be in other online marketplaces. For model 8280X we reocmmed using Swingline SF4 staples. Are there really 5000 staples in a box? Due to market standards, we have it listed as 5,000 per box. We feel the 40 extra staples is a bonus and we are not giving you less than the standard 5,000. I have an electric staple gun made with Master Mechanic on the label. All athat I can read on the show is Swingline made in Long Island City, NY. Unfortunately we no longer make the staples that go along with staple guns. You may be able to find them on other online e-tail websites. What swingline staples equal Rexel No. 266 or 16 which is what I need for my long arm 5616 stapler? For best performance, we recommend using Rexel brand staples with a Rexel stapler. No. 16 staples are available on the Rexel website. Which staples fit the #101 and 800 Tacker? Unfortunately, we no longer manufacture that tacker and its corresponding staples. However, other customers have had success purchasing staples from this website: [www.surebonder.com]. We no longer sell the staples for the staple gun, but you should be able to buy them on surebonder.com.